The power range for this series is 10kW – 100 kW, other power classes are available upon request. These new Elenos high power transmitters are completely modular, for a guarantee of reliability, ease of use, high redundancy and full possibility of interchange between the parts. 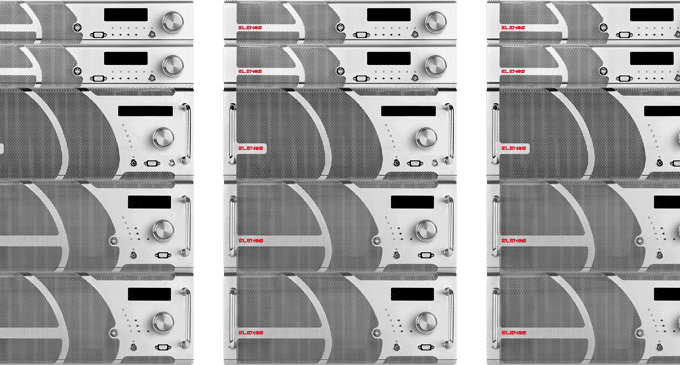 – Power amplifier, with new generation LDMOS technology. _Control unit, for complete managing in local or remote mode (web server, web manager and SNMP agent). – n.2 exciter with Audio input, analog and digital. 2 way splitter, 2 way combiner, automatic coax relay for automatic change between exciter 1 and 2, system charge.